A regional financial services company hopes to consolidate and continue to expand thanks in part to advice from the Small Business Mentoring Service. Great Southern Credit Management (GSCM) combines three businesses that have evolved since 2001, when a nationally owned debt collection company centralised its services to Melbourne. Since working with the SBMS, GSCM has developed a plan for the future, undertaken re-branding and structural change to unite the three businesses into one entity and combine the groups’ resources to better deliver service and management capabilities. The business now has 14 employees across the three branches. 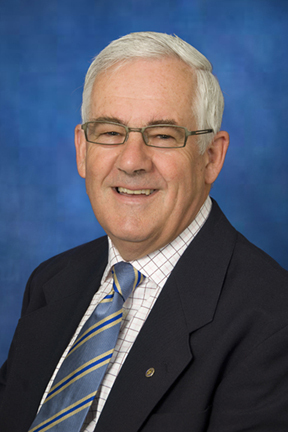 Now preparing for retirement, long-serving Managing Director Frans Bos started Provincial Credit Solutions (PCS), located in Warrnambool, in 2001 when his 30 years experience told him a local presence was needed to support clients. This is where the groups’ head office is located. In 2006 Barwon Credit Management (BCM) was established in Geelong to service local clients and to manage major client relationships. Then in 2011, Von Doussa Credit Management (VON) was purchased and expanded operations into the South Australian market. Fran's believed that regional businesses wanted and appreciated a local presence when it came to credit management and debt collection. He was right and GSCM has steadily grown since. GSCM is an expert collector of overdue accounts but also offers clients a full range of credit management solutions from when a customer first applies for credit to when they refuse to pay. Its debt collection and prevention solutions include credit applications/terms and conditions preparation, credit checks and reports, credit management consultancy and training, ledger management, debt collection, field call services, legal/litigation services through associated solicitors, skip tracing, business services and registers, and property and title services. GSCM is a local business with a national focus. Customers come from a range of industries, businesses and government departments. Warrnambool-based General Manager Mark Bridge says personal service and a prevention focus helps give the business an edge. “We focus more on the prevention of debts and help clients through the process, understand what they can do to prevent the debts and then what to do if they need to keep their cash flow moving,” he says. The business was doing well but Mark felt it could do better in planning for the future. He first met SBMS mentor Martin Shirley at some local business awards Martin was judging. Mark felt that as Martin already knew the business, he could “help out get our ship in order”. The SBMS is a non-government, non-profit organisation of volunteer expert mentors who give their time and experience to help small business. 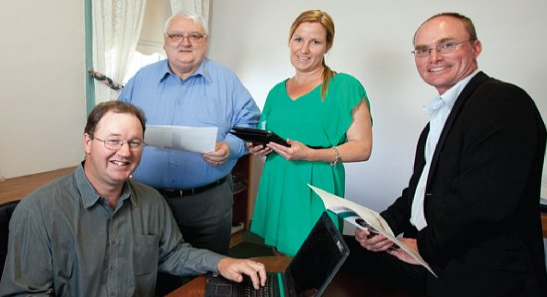 It is supported by Small Business Victoria, which refers clients to it. Martin has more than 40 years’ experience in the transport, logistics and freight forwarding industries and is skilled in sales, marketing and general management. His company, Martin Shirley & Associates, was purchased by corporate giant Patrick Corporation. Changing the culture to work on the business instead of in the business. A co-ordinated approach to improving revenue through standardised pricing, work flow processes and/or new revenue streams. Martin says when he started with the business it was “just ticking over” with little delegation despite the obvious need for succession planning. Martin says Mark took his suggestions onboard and followed them up. He says the business, which is very important for regional areas, now has a solid management structure moving forward that should allow it to go from strength to strength. GSCM now has a business plan updated and reviewed regularly, a succession plan, budgets, marketing plans and appropriate reporting to manage the business and make informed decisions. “We now have a broader understanding of the various skills that we need to have as managers and the responsibilities that we require as directors,” Mark says. Mark says tangible benefits cannot be measured yet, but the business is more rounded and considers in more detail the likely impact of decisions as well as the impact of procrastination. “The advice has been provided in a totally unbiased way designed to strengthen the business in numerous aspects,” Mark says. “There is now an agreed commitment by all to the short, medium and longer term goals of the group.